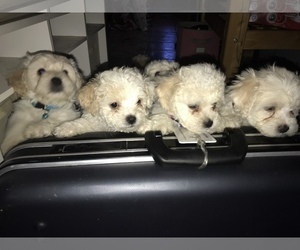 Beautiful, Fun-loving Bichon puppies ready to go home on New Years! Reserve your choice of puppy with a $300 deposit via Venmo, Paypal or in-person. 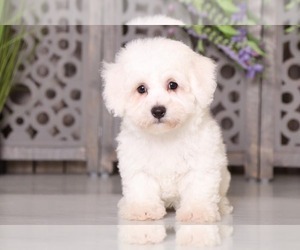 Bichons are 100% joy, love and cuteness! They're the perfect family companion. They do not shed, do not need a lot of space and are great with children. Are you ready to add some fluff and happiness to your home? 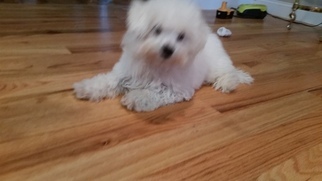 AKC 100% Bichon sire and dam. Raised by a family with children and gently handled daily to ensure they are socialized and ready to become a part of your family! Up to date on wormer treatments. 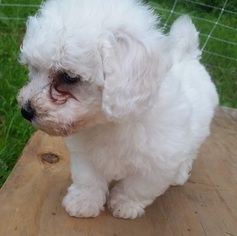 You can reserve your choice order now and choose your puppy any time up until 5 weeks when you can see their unique personalities. The puppies will be ready to go home with you at 8 weeks old, the first week of February. Selection of a puppy will be in the order that deposits were received. Photo is from previous litter. Updated photos will be added when the puppies are a little older. 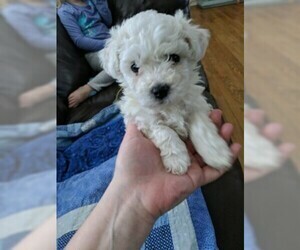 Beautiful female Bichon! Photo at 2.5 weeks old. 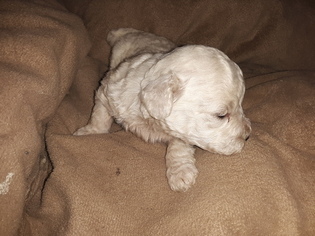 Main page photos show puppy from the prior litter. 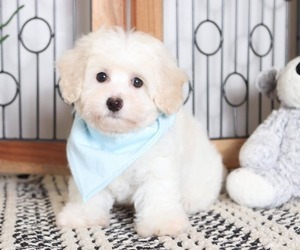 Overview: The Bichon Frise is a cheerful little dog that gets along with everyone. They are active, alert, and very easy to train, making them an excellent family pet. Colors: White - and may have cream shadings. Coat: The double coat consists of a soft dense outer coat and coarse curly outer coat. It has a puffy appearance and springs back when patted. 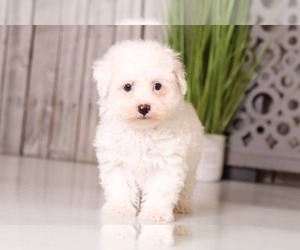 Character: Bichon Frise dogs are very sensitive and affectionate. They're always eager to cuddle or play. Temperament: This breed is friendly toward strangers, other dogs, and children. They may bark a lot, however. 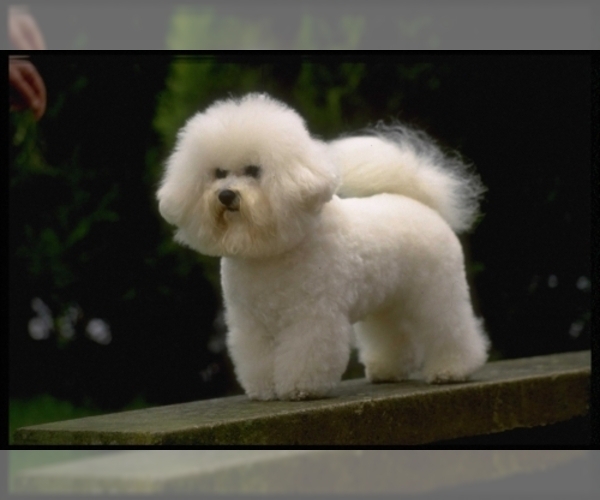 Care: The Bichon Frise's coat requires brushing and combing at least three times per week and trimming every two months. Training: This breed is very intelligent and, therefore, responds very quickly to proper training. 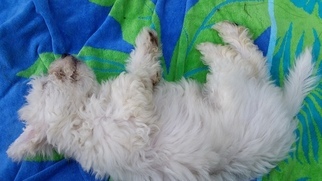 Activity: The Bichon Frise needs daily exercise, whether from romps in the yard or rough and tumble play indoors. Health Issue: This breed is prone to watery eyes, cataracts, and skin and ear ailments. Also epilepsy and dislocated kneecaps may be seen.